You can’t beat a long soak in a hot bath. It can boost your mood, relax your muscles and help you to sleep well. But, for many disabled people, taking a bath can be a complex task, and many write it off as impossible. 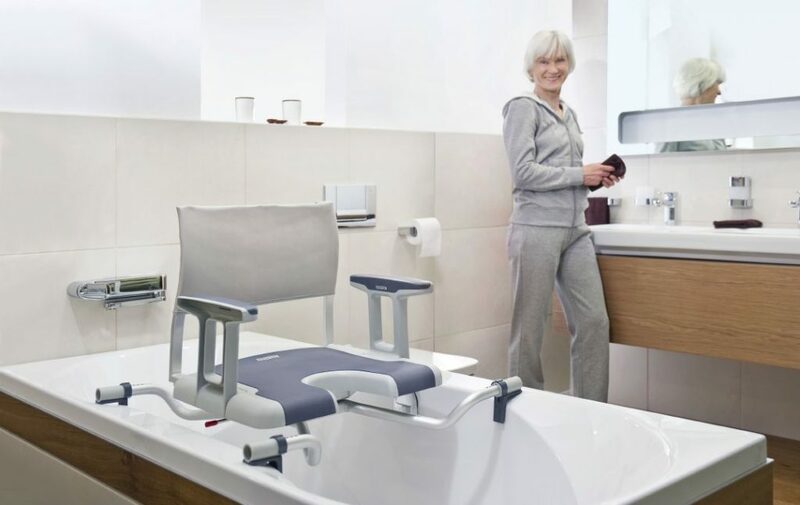 Fortunately, there are bathing aids available on the market that can make the process easier for a lot of disabled people so read on, you might be surprised! The first thing to do is to establish what exactly it is that makes taking a bath difficult for you. This way, you will be able to look into equipment that can help with that precise problem. In this post, we will examine some of those pieces of equipment and how they can assist you to bathe safely. Is it that you fear slipping? Or you need to keep certain parts of your body dry? Or that you can’t reach to wash your entire body? If you are unsteady on your feet, you need to consider how to prevent slipping both in the bath and on the bathroom floor. In the bath, you can place a bath mat that gives the base of the bath some texture, making it easier to grip and manoeuvre safely. Extra long bath mats are available that cover the entire length of the bath. Alternatively, you can fit some bath safety strips on the base of the bath, which do the same thing. If slipping on the floor of the bathroom is a concern, look into mats that grip the floor and offer a non-slip surface. Also, make sure you don’t run the bath so full that it overflows when you get in – an excess of water on the floor is dangerous, too. 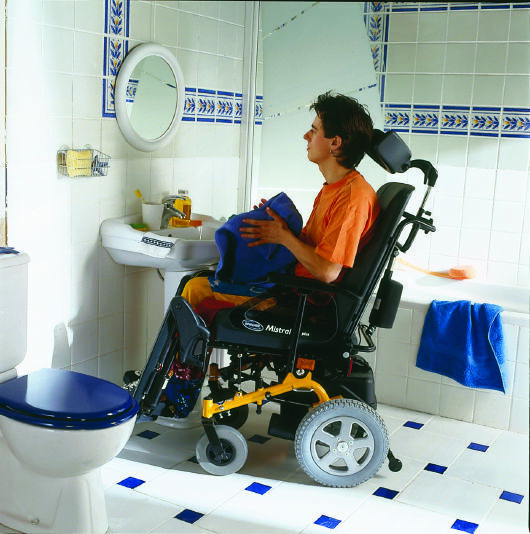 Bathing aids can be incredibly useful for people who cannot reach parts of their body or their hair. 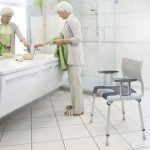 Perhaps they have joint or muscle problems or missing limbs, so assistance is needed to reach, say, their back or their feet to keep them clean. The simplest tools available are probably body washers, which can have a flannel wrapped round them and be used to reach the back, the bottom or anywhere else that is difficult for a person to get to. Where feet are concerned, shower sandals are clever devices that have suction cups to attach them to the base of the bath, and bristles that the user rubs soap on, followed by their feet. For hair washing, a gadget called a hair washer is available. Similar to body washers, hair washers have a handle and make it easier to reach the hair if somebody can’t lift their arms to wash it normally. Anybody who has had a broken leg or a new surgery scar knows how difficult it is when their doctor tells them to not let it get wet. Showering or bathing without getting an arm or leg wet is a nightmare, but somebody has invented a cast protection sleeve that can be used on the leg or the arm. It has a seal made of neoprene that stops water getting in, letting you take your bath without performing acrobatics at the same time. If you find the hard surfaces of the bath uncomfortable, bath cushions and pillows are inexpensive items that can make a big difference. Some of these devices are inflatable, while others are made of materials such as gel. All are safe to use in the bath and can make it a nicer experience if you’re feeling sore.